The 3-D surrogates, i.e., their avatars, are here to wish you a "Hoppy Easter". 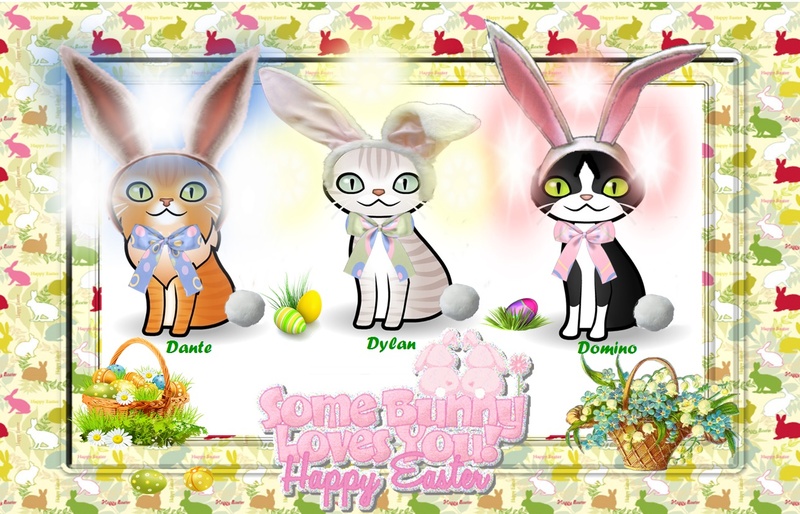 They are imPURRSonating Easter bunnies as you can see. They got the idea from a friend of theirs. Why it's the Cadbury's Easter Cat! No wonder the Easter Bunny Cat is becoming a trend. It's very CATching! Y'all sure look cute! Ears to a Hoppy Easter!! !